This fantastic video does a great job of expressing the unique advantages I enjoy through being on AT&T. I’m about to launch a new iPhone and web app, LeanScale at the next SF AppShow. Join us, it’s a great event, and look for more here soon. LeanScale is the only tool that separates fat and lean for better health. Don’t watch your weight, watch your lean, with LeanScale. You get immediate, powerful feedback on what is happening with your body right now, even when you are making gradual changes (the best kind). If you’re interested in the private beta, please comment below. Yesterday I read on Mobile Crunch that the AT&T 3G MicroCell went on sale. I ran out and bought the last available one from the AT&T Store nearest me. I’ve tested it in two San Francisco homes and can report on how it works for me. The theory is great. I pay AT&T an extra $150 to fix service that I’m already paying more than $100 a month for. 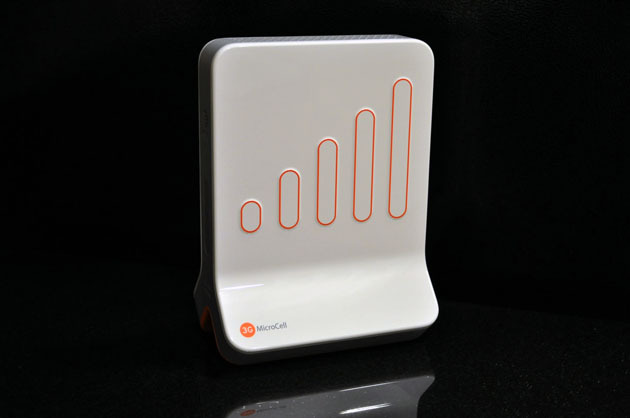 They give me a cute little orange and white box by CISCO that connects to my broadband internet and makes a micro cell site out of my house. Voila, a little bubble of reliable service in the wasteland that is trying to make iPhone voice calls in San Francisco. iPhone hype and App hype exceeded by results: iTablet / iSlate to match it? Along with all the hype before the first iPhone was released, I added my voice, noting that it would forever change the mobile phone business in important ways. I camped in line to be among the first to get one. There was enormous hype. Yet, in the two and a half years since, more change happened than most hype predicted. When the iPhone app store was announced, I predicted that even the most optimistic scenarios projected by analysts were likely to fall short of the mark. It seems that apps have also changed more than even the hype suggested — they were off by even more than I’d thought. You’ve probably seen the ads: both AT&T and Verizon have dropped their rates for unlimited voice plans to $69.99 per month. But if you aren’t already on an unlimited plan, you may be paying more for less until you take action. I went online to login and make the change to my account. In approximately 90 seconds total, I switched and am now paying $69.99 per month for unlimited voice. It's time to end TSA-sponsored terrorism in the air and on American soil! In nearly three years on Twitter, rarely have I seen such widespread, rapid and uniform response to anything having to do with politics, security or terrorism. The complaints and jokes came on rapid fire this afternoon, filling my screen with everything TSA and terrorism. It was a slow Twitter day, but perhaps 10% of the tweets I saw over a few hours were on a single topic — that’s unprecedented. After a failed terrorist attempt yesterday, the TSA has responded with the next escalation after their previous high-water mark of stupidity (no pun intended), the no-liquids rule. Now: no more electronics in flight, nothing in your lap, only one carry on, and no movement in the last hour of flight. Many of those I follow on Twitter are frequent travelers, most are highly intelligent. All who’ve commented seem pissed (and not just that they won’t be able to pee). They know the real impact of what security expert Bruce Schneier calls Security Theater (if you don’t like that link to his blog, try this one to 60 Minutes, even if they haven’t read his latest reaction. iTunes 9 Home Sharing/Sync the Wrong Solution. Give us automatic media caching! We live in an age when homes don’t have a single computer on a desk, everyone has their own laptop. It’s great that iTunes9 recognizes the need to share files between computers so that everyone in a home can make local copies to hear each other’s music and watch each other’s videos. Except that we have tiny storage in iPhones, MacBook Air and netbooks — some iPods hold more. We need to solve the problem of keeping only the files we need with us and having the rest stored on the network. I want an automatic system to swap in and out the files on my machines based on my requests and favorites, caching all the most used files locally and pulling less-often used files off the network as needed.